Beth McKee Roots Singer. Songwriter. Community Cultivator. 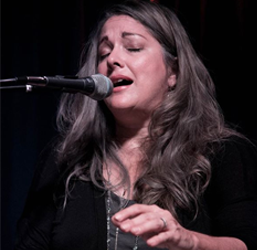 On Sugarcane Revival, (May, 2015) Mississippi native, Beth McKee offers fiery-sweet songs of tenacity and purpose, sung to a deep southern groove. The resulting sound is a composite of the places she’s called home; Mississippi, Texas, Louisiana and Florida. The appeal of her honest vocals and roots-y piano style was evident on McKee’s previous solo albums, Next to Nowhere (2012) and I’m That Way, the 2010 tribute to Chess Record’s Louisiana legend Bobby Charles. McKee used the albums to establish a solo career after her 1990s success with New Orleans-based MCA Records act Evangeline. Bobby Charles was so impressed with Beth’s interpretations of his songs that he asked her to sing with him on his own record, “Timeless,” which would be the last before his death. A working pianist from the age of 14, Beth Mckee’s musical identity began catching wind once she moved to Austin, Texas. After some time spent playing in bars and blues bands, Beth was recruited by Greg “Fingers” Taylor to join his band and embarked on a tour opening for Jimmy Buffett. Afterwards, Beth moved to New Orleans to join Evangeline and the group was quickly signed to Buffett’s MCA Nashville imprint, Margaritaville Records. Beth released two albums with the group before setting off to create her own musical legacy. As her indie career burgeoned, Beth’s strong desire to give back to the communities she has visited inspired her to found a network of over 2,500 southern women, dubbed her Swamp Sistas, a reference to her musical sound and the region it emerged from. With help from the group, Beth hosts gatherings, called “Swamp Sistas La Las,” a re-vamp on the traditional Creole house party. The Swamp Sista La Las are celebrations of regional music, food, and culture, raising money and awareness for community causes and organizations. In addition to touring and La La coordinating, McKee mentors other songwriters, conducts songwriting clinics as musical “informances” at various southern Universities and hosts a monthly songwriter series in Orlando, Florida to showcase local and visiting talent as well as road test her own new material.